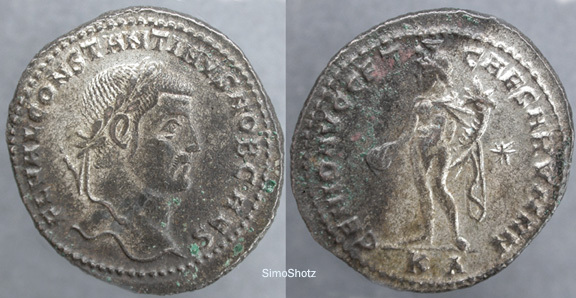 Rev: GENIO POPV-LI ROMANI - Genius, towered, with loins draped, holding patera and cornucopiae. PTR in exergue; S in left field, A in right. 29 x 27 mm, 6.9 g.